Addo were approached by Intersections to recommend a Market Town to take part in Intersections’ research project looking at the role of visual arts and regeneration in the market towns. Addo suggested Pontypool as we had been working with Torfaen County Borough Council on developing an artist residency to take place in the town. Following this introduction, Addo were engaged by Torfaen County Borough Council to manage networking activities and a two-day symposium event in Pontypool as part of In-between, alongside which we also continued to work with Torfaen County Borough Council to progress and raise funding to support an artist residency project that would contribute to the Inbetween research project and the Council’s future strategy for engaging artists in the regeneration of the town. Arts Council of Wales, Fourteen Locks Canal Centre, ArtRegen, Pontypool Museum, Pontypool Market, Professor Michael Woods (Aberystwyth University), Matthew Jones (Coombs Jones Architects + makers) and the Neighbourhood Learning Centre. This event was funded by Intersections, Newcastle University, Arts & Humanities Research Council and Torfaen County Borough Council. Inbetween: Cultural Regeneration in Market Towns is an academic research project being led by Intersections, a research unit based at the University of Newcastle upon Tyne. The project is looking at the role of visual arts and regeneration in the market towns, using the towns of Dumfries in South West Scotland, Hexham in North East England, and Pontypool in South Wales, as case studies. Intersections have identified research questions that are pertinent to each of the locations, so for Pontypool, the research is focusing on Policy and Strategy and is considering: Can visual arts practice in market towns learn anything from broader urban regeneration practices? What are the idiosyncratic challenges posed by ‘inbetween’ contexts? Are artistic practices and cultural strategies a viable option in their regeneration? How do different political and cultural infrastructures impact artistic practice in market towns? Artwork interventions in the public domain commissioned as catalysts for discussion, engaging the public in wider debate around the research questions. These commissions are being developed or have already been developed by the key stakeholders in each of the market towns. Addo were engaged to manage networking activities and a two-day symposium event in Pontypool as part of the In-between research project. We did this by establishing a Steering Group of local stakeholders, engaging with local residents and community groups and organisations (such as Fourteen Locks Canal Centre, ArtRegen, Pontypool Museum, Pontypool Market, and the Neighbourhood Learning Centre), and organising and facilitating regular consultation meetings. The Inbetween activities in Pontypool culminated in a two-day seminar in the town on 12th & 13th September 2012, which comprised of a tour of Pontypool on Day One led by people who know the town well sharing their knowledge with the group in order to stimulate discussion, followed by a more conventional symposium discussion on Day Two held in the Jubilee Hall above the Indoor Market that enabled participants to reflect on Day One’s activities and their shared knowledge and experiences of culturally led regeneration and the issues effecting small towns in the UK. The discussion will be catalysed through presentations from Professor Michael Woods (Aberystwyth University), Alexia Mellor (Pontypool‘s AIR) and architect Matthew Jones (Coombs Jones Architects + makers). A copy of the full symposium programme can be downloaded here. 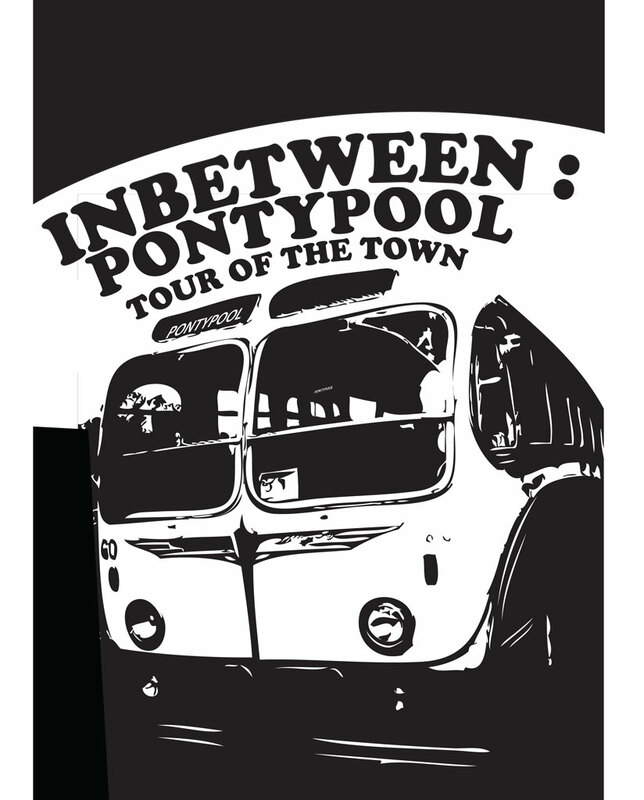 Alongside facilitating the Inbetween: Pontypool symposium, Addo continued to work with Torfaen County Borough Council to progress and raise funding for an artist residency project that would contribute to the Inbetween research project and the Council’s future strategy for engaging artists in the regeneration of the town. Artist Alexia Mellor began the residency in February 2013, further details of which can be found here.